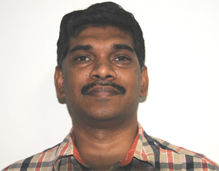 Cherian Samuel is Research Fellow in the Strategic Technologies Centre at the Institute for Defence Studies and Analyses. He has written on various cyber security issues, including critical infrastructure protection, cyber resilience, cybercrime, and internet governance. His recent publications include:Securing Cyberspace: International and Asian Perspectives, Cherian Samuel and Munish Sharma, eds., Pentagon Press, 2016; "India’s International Cybersecurity Strategy," in Cybersecurity: Some Critical Insights and Perspectives,Damien D. Cheong ed., S. Rajaratnam School of International Studies, Singapore (January 2015);“Net-Centric Defence Forces: A Macro View,”DSA Magazine, July 2014;“Cyber security and National Development,”CASS Journal, Vol. 1, No. 3, July–September 2014;“Cybersecurity and Cyberwar,”Seminar, October 2013;“Prospects for India-US Cyber Security Cooperation,”Strategic Analysis, Volume 31, Issue 2, September 2011. His monograph Global, Regional and Domestic Dynamics of Cybersecurity was published in December 2014. He was co-ordinator of the IDSA Task Force on Cyber Security, which published a report titled "India's Cyber Security Challenges" in March 2012. For a global build-up of cybersecurity, capacity building needs to be given much more importance than it has received till date. The book is structured to perform a role both as a primer to those who wish to understand the strategic issues and key concepts in cyberspace, as well as to provide sufficient pointers to those who wish to have an in-depth understanding on specific issues. Among the major issues examined are the efficacy of the concept of cyber deterrence, the troubled history of norm-making in cyberspace, protecting critical infrastructure from crippling cyber attacks, the viability of Active Cyber Defence as a means of responding to the sheer scale of attacks, and its attendant legal and ethical issues. Emerging technologies and their potential impact on an already dynamic domain are also the subject to scrutiny, as also the various models of public-Private Partnership in cybersecurity around the world. The UNGGE process is the least bad option to keep open channels and maintain continued focus on securing cyberspace. The introduction to Alexander Klimburg’s book, The Darkening Web: The War for Cyberspace, begins by referencing the Indian parable of the Blind Men of Hindoostan and the elephant to bring out the difficulty of ‘grasping the entirety of cyberspace’. The focus of his book is on international security, and more specifically, the security interests of states in cyberspace. That said, a large part of the book focuses on three countries—the United States, Russia and China—and their approaches and actions in cyberspace. Europe is mentioned largely in the context of privacy and data laws. The 2017 Conference also comes at a time when the existing international discourses on securing cyberspace, whether it be the UNGGE process or the Internet Governance Forum (IGF), seem to be unable to cope with the accelerated developments in cyberspace. While the Wassenaar Arrangement has instant recall in nuclear circles, it has only recently become a source of turmoil in cybersecurity, after the US Bureau of Industry and Security published rules that are applicable to cyber technologies. While Asia is home to the largest number of internet users on the planet, there is comparatively little contribution from the region to the discussions on cybersecurity.